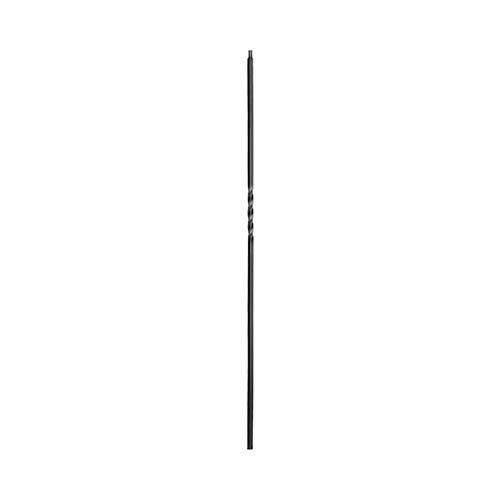 LIH-HOL1TW44 Single Twist Baluster is crafted from 1/2 inch hollow stock and is available in 44 inch lengths with your choice of Matte Black or Oil Rubbed Bronze finish. You can visit L.J Smiths interactive stair builder designer to help envision your new staircase. Make notes of the part numbers that you are interested in and contact us for pricing and availability. You can view/download the PDF drawings for full sizing specifications. 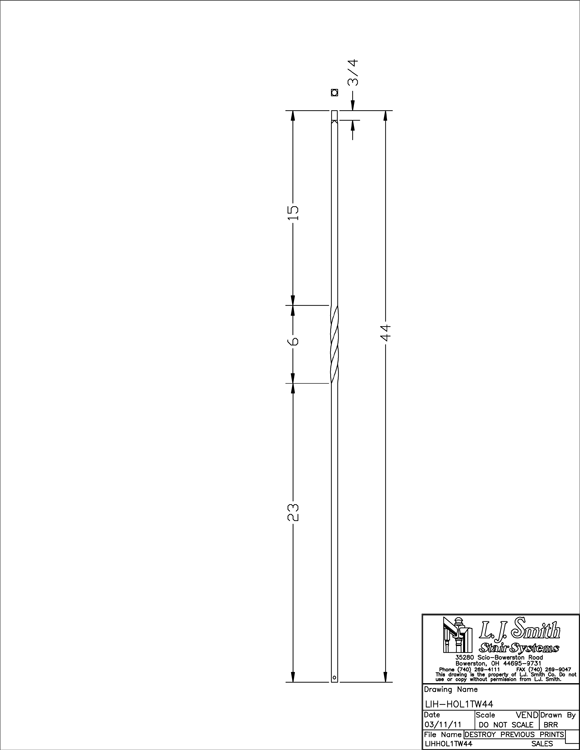 Need this baluster design in a different finish? We offer iron details in Silver Vein, Satin Black, Matte Black, Antique Bronze, Oil Rubbed Copper & Matte Nickel. These finishes may or may not be immediately available, contact us for pricing and availability.